Boiler rooms are good examples of hazardous spaces where gases emitted from the combustion of natural gas or oil can be found. These spaces are often places where the temperature reaches more than 35 degrees Celsius. in order to ensure a good safety level, it’s important to have toxic or flammable gas detectors suitable for boiler rooms. 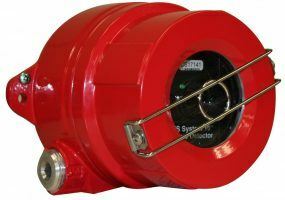 In the case where the exhaust system connected to a boiler room fails, a gas detector will promptly notify nearby people thus avoiding the possibility of explosion or poisoning. MeshGuard is the leading rapidly-deployable gas detection system in numerous industrial and remote monitoring applications. RAEGuard 2 PID is a fixed photoionization detector (PID) capable of measuring a wide range of volatile organic compounds (VOCs) ranging from 0.1 to 1000 ppm.